Five destinations on the northwest coast of France that are easily accessible by car-ferry and won’t bust your piggybank. It’s the notorious beach breaks in the South West of France that usually attract most of the surfing limelight across the Channel. But the grinding sand bottomed kegs of Hossegor and Seignosse aren’t your only choices if you’re looking for a short escape of waves and wine. We’ve looked into five destinations on the northwest coast of France that are easily accessible by car-ferry, and won’t bust your piggybank or your surfboard as it will be safely stowed away in your own motor. Brittany and Normandy are there to be surfed and now is the time to do it because hey, who knows what will happen after Brexit. The natural port of St Malo boasts some of the best sandy beaches in Brittany with a tonne of pirate history to also be explored. Southwesterly storms can generate 6ft peaks all the way along St Malo’s main beach, Plage Du Sillon, with the best channeling in beside the la Hoguette groyne with offshore winds. The wave isn’t tide dependent, so best check it from the beach or using the webcam. Le Havre’s left-hand beach break is an easily accessible wave for surfers of all levels, situated at the mouth of the River Seine and just minutes from the city center. Working best with a northeasterly wind and westerly swell, the wave will generate enough power for a punchy ride. The town itself is a UNESCO World Heritage Site, completely redeveloped after World War Two and hosting some of France’s most memorable post-war memorial sites. 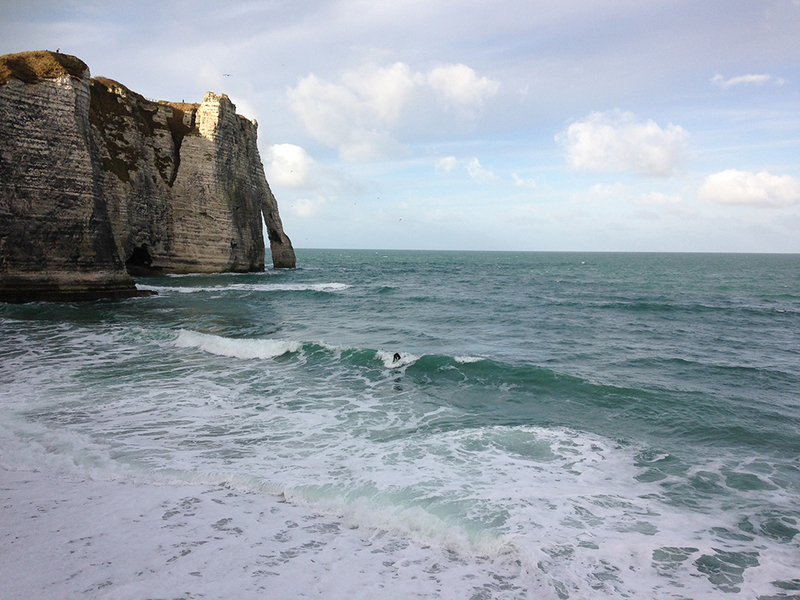 As a major port, Le Havre is just a short trip via ferry from the UK and a great mix of European and surf culture. Just ten minutes from the French fishing town, Roscoff is the mellow break of Dossen beach. Although relatively exposed and susceptible to the wind, the wave is good at high tide for longboarders and beginners looking to avoid crowds. Shortboarders looking for something heavier can find a right-hand reef break just in front called l’Ile de Sieck, or a bay to the left of Dossen, named La Mauvaise. However, this reef is inconsistent and hides a few beasty rocks beneath, so keep an eye on the conditions and look for a northwest swell and southwesterly wind combination with a mid to high tide. On Normandy’s northwest coast lies the town of Caen, one of the oldest university towns in France and a cultural hub of food, fashion and the arts. Its beach is sheltered and flanked by the River Orne, so for waves you should head 45 minutes up the coast to Trouville-sur-Mer. This left and right beach break sits to the left of the Touques Estuary and ranges from 1-6ft throughout the year, working best on a mid to high tide. Check the webcam in Deauville and if the surf is looking small, there are other spots all the way to the Baie de la Seine. If you’re keen to go a bit further afield, head West to Hatainville on the Cotentin Peninsular, Normandy’s biggest swell trap around one and a half hours from the center of Caen. On a southwest swell you’ll find a peaky beach break sometimes reaching way overhead, so beginner to intermediate surfers should head down past Carteret to the boardwalk of Barneville for softer peaks and more manageable surf. To the Northern end of the Cotentin Peninsula is the Normandy town of Cherbourg. 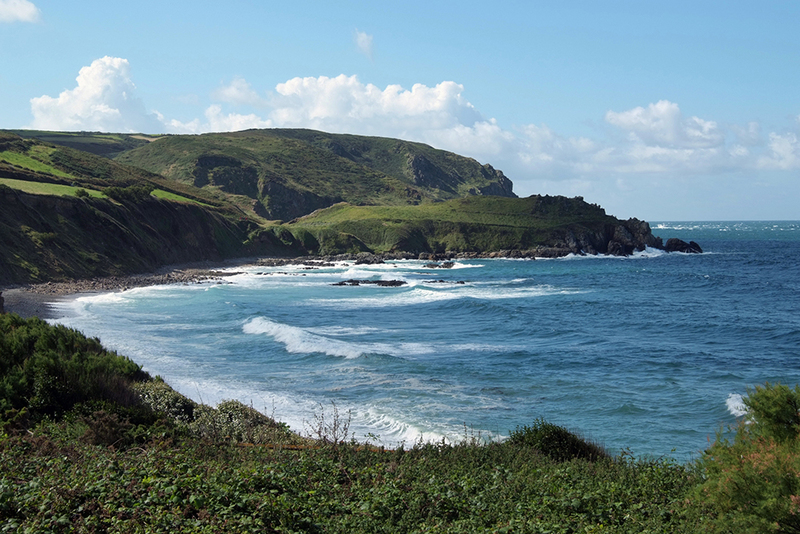 Its surrounding scenery is some of the area’s most beautiful with high rugged cliffs and a moorland landscape sitting alongside sandy beaches and consistent surf. Take advantage of its national parks and follow the road to Vauville. This beach is wide, sandy and uncrowded, also offering camping and parking directly behind it. The break works best on a westerly swell and an offshore easterly wind, but its orientation means it’s able to pick up Atlantic swells from various directions. With a split peak for all stances, it’s a great option for surfers of all abilities. Road tripping for surf is one of the greatest adventures but it can involve long journeys and frustratingly repetitive playlists. 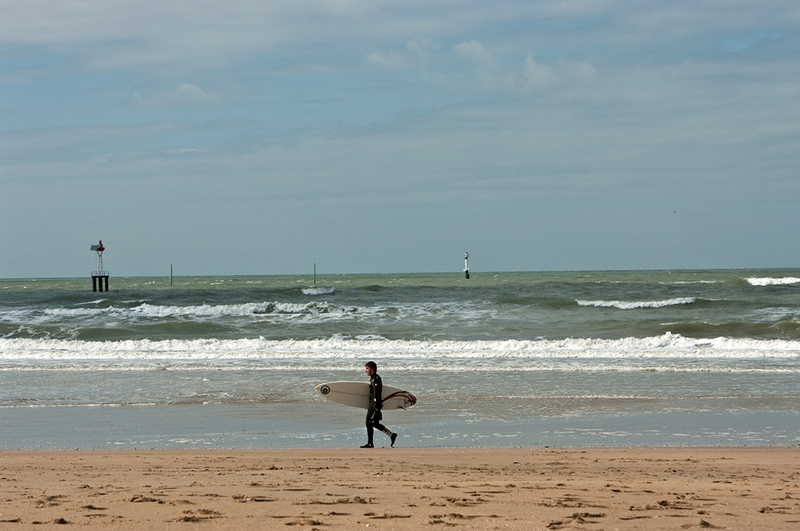 With quality surf spots just a short hop across the channel via the regular ferries to France, we reckon Northern France is well worth a punt. After all, what’s better than having peace of mind that your gear won’t get bashed en route?